Are you ready for the Big Game on Sunday??? 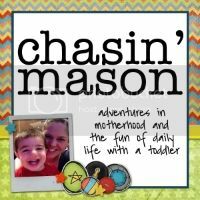 I would have to say this is one of my husband's favorite days! He's a huge sports fan and, since he was a marketing major, he's equally obsessed with all the commercials. As for me, I like any excuse to whip up some delicious snacks, spend some time as a family, and I have to admit I'm pretty excited for the half time show this year! 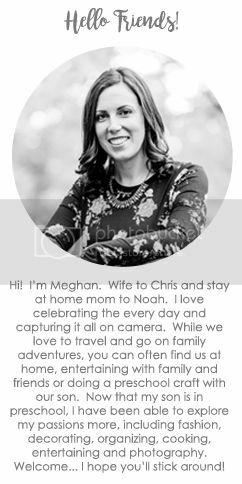 Even though we won't be hosting a party this year, I still want to make it a special event and serve some delicious food. Who says you have to save the special stuff for big parties!?! I'm all about serving appetizer type dishes that don't require a fork and knife. Give me some TOSTITOS® Scoops, TOSTITOS® Chunky Salsa, and a few dips, and I'm a happy girl. I've always preferred a variety of appetizers over a real meal any day! 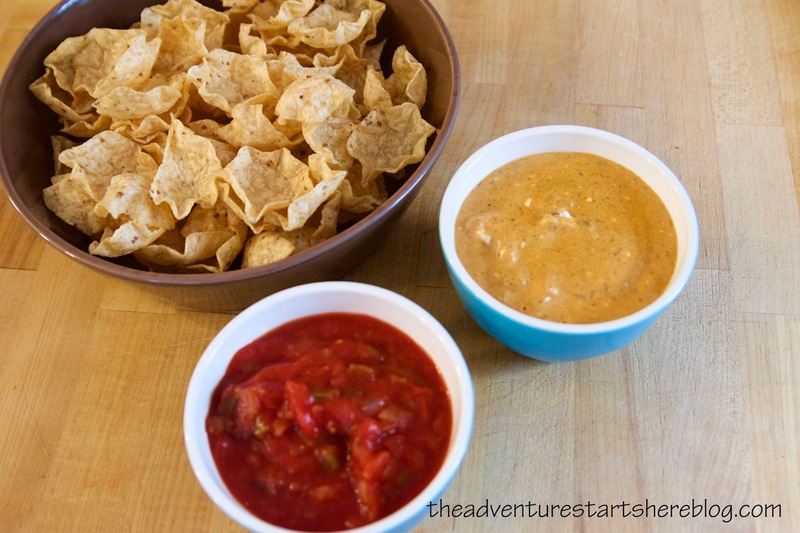 One of my family's go to dips is so delicious, but more importantly, ridiculously easy to make. It's kind of embarrassing when guests ask for the recipe, because I don't think it can technically be considered a "recipe". You take a can of chili (I use the kind without beans) and a stick of cream cheese. Throw the two into a pan and cook until they melt together. I personally like a few chunks of cream cheese left, but that's up to you ;) Serve warm with some TOSTITOS® chips and you are good to go! But since the Big Game only happens once a year, I like to make it a little extra special. 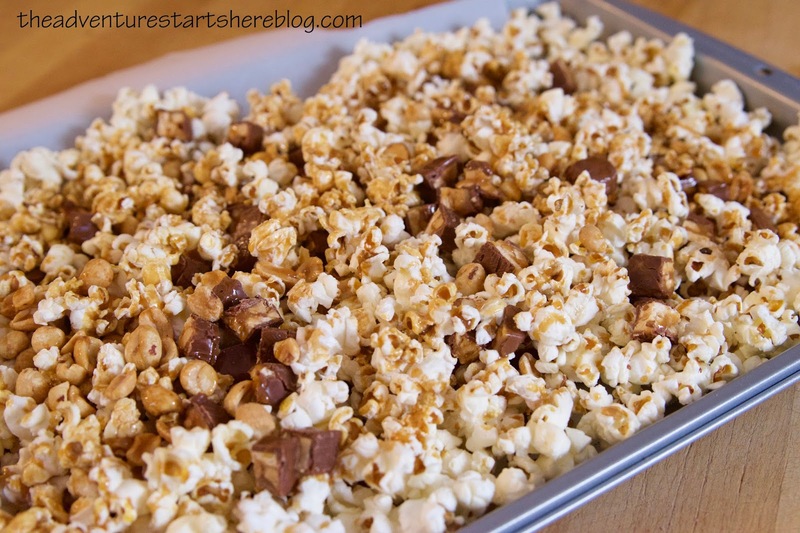 That's why I decided to make a sweet and salty snack in the form of SNICKERS® Popcorn! I'm in love with this popcorn because it basically combines a bunch of my favorite snacks and flavors... freshly popped popcorn, peanuts, caramel, and of course SNICKERS®! 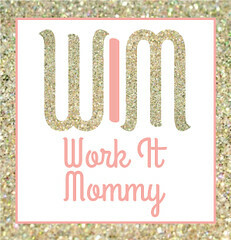 And once I teach you how to make your own popcorn, you will never want to have microwave popcorn again! It's really delicious with just butter and salt, but the SNICKERS® just takes it to another level! Unwrap all your SNICKERS® FUN SIZE® bars. Chop each bar into 8 bite size pieces. 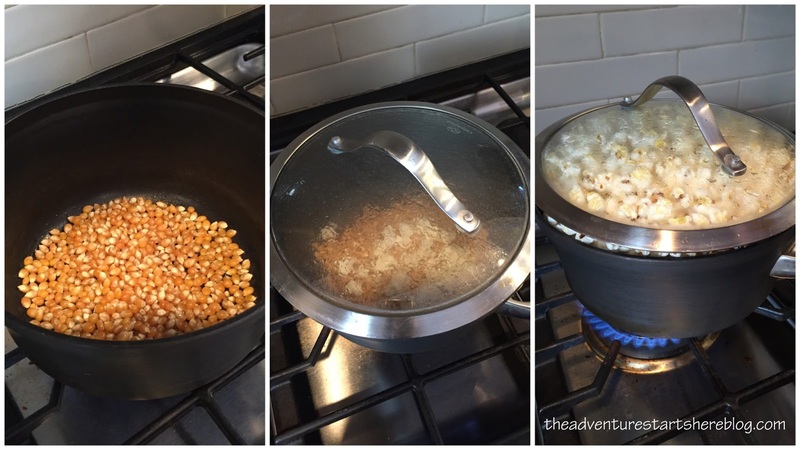 Once the popping stops, pour the popcorn into a bowl. At this point you could add some salt and melt some butter (in the same pot) to drizzle over your popcorn for some traditional movie style popcorn. OR you can continue and make your popcorn extra special! Add the cut up SNICKERS® and peanuts to the bowl and mix together. Then spread the popcorn mixture onto a parchment lined baking sheet. 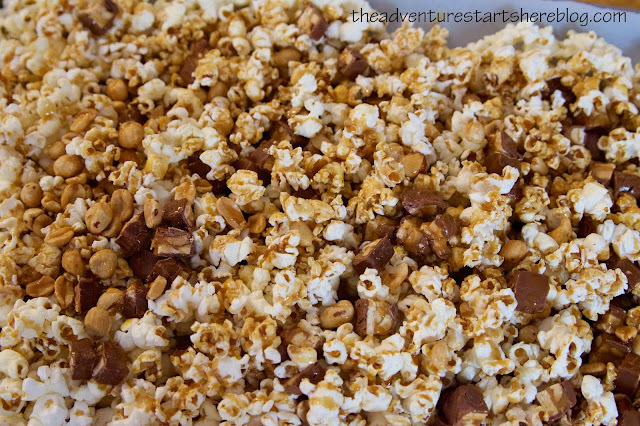 Drizzle some warm caramel sauce all over the popcorn mixture and let it set and cool. I simply warmed up some store bought caramel sauce (the ice cream topping kind) in a sauce pan over low heat, but you could also get fancy and make your own. Once cool, pour the popcorn back into the bowl and serve! If you are planning your own Big Game party, or just plan to eat while watching it, Walmart is the place to go! 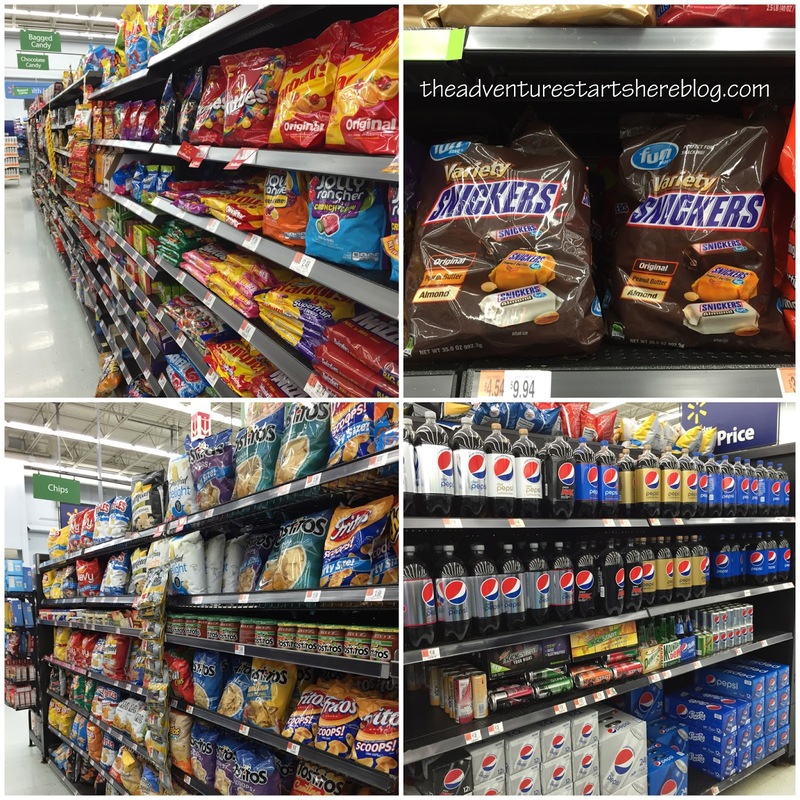 It's the perfect place to grab all your supplies... TOSTITOS® Scoops Party Size, TOSTITOS® Medium Chunky Salsa, SNICKERS® FUN SIZE® Variety 35 oz., Skittles® XL 41 oz., and Diet Pepsi™ 12 oz. 12 pack. You and your guests will love the variety of sweet and salty snacks! You can also find some more delicious recipes here. And as much as I love serving a delicious spread, some people just take it to an amazing level and I can't help but be impressed! Have you ever heard of a snack stadium? People will create a "stadium" to serve all their snacks in... and some of them are pretty spectacular! 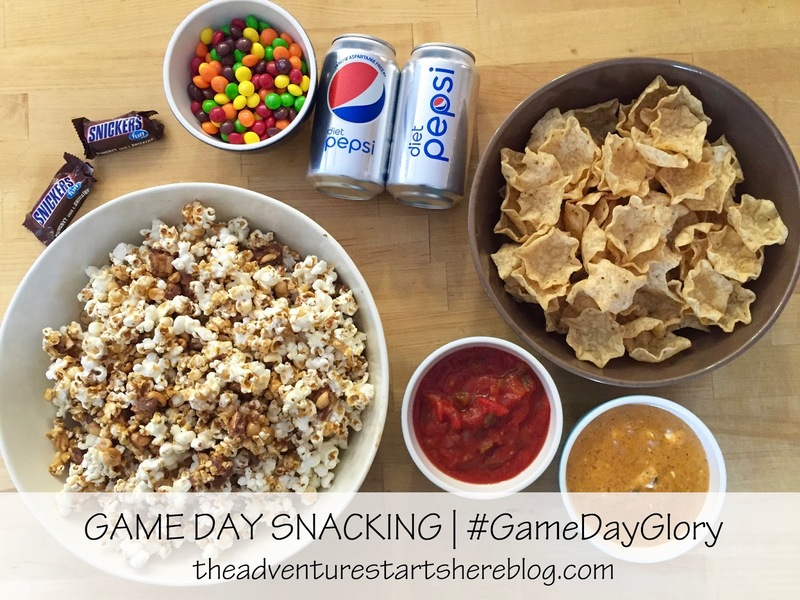 Well now you can learn how to make your own and vote for your favorite snack stadium which enters your in the #gamedayglorysweepstakes for a chance to win a $100 Walmart eGift card or Xbox One! 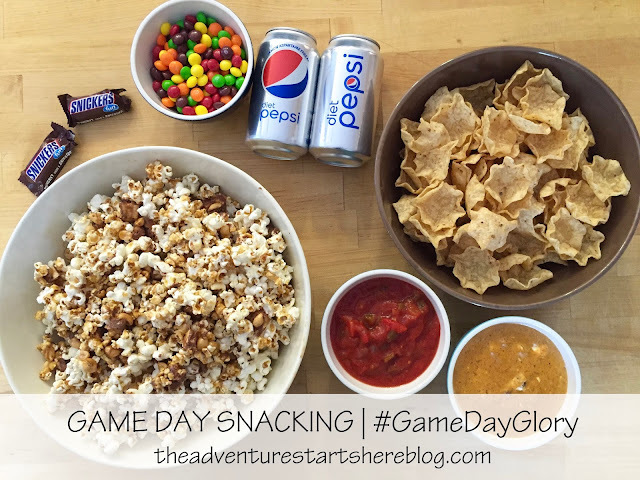 And if you just so happen to be one of these talented people, please share your own snack stadium on Instagram using "#gamedayglorysweepstakes". Omg! That popcorn looks amazing!! So much for cereal breakfast. I want snickers popcorn. Ha ha. I'm excited to make a few things for the game too. Though we aren't having a party either. OMG, that popcorn looks so good and so dangerous! I feel like I would eat SO much of it! You had me at snickers popcorn! I looooove the combination of popcorn and chocolate. It's one of my favourite snacks ever! I never thought to chop up a chocolate bar to put in the popcorn. Brilliant! 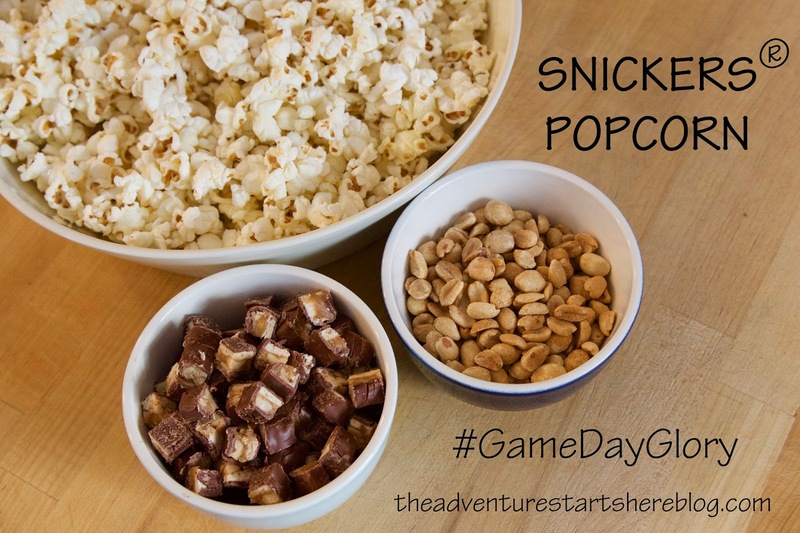 I may not be a huge game watcher... but boy do I love the snacks. These look great! What the what?!! Snickers popcorn?! Can I please come over to your house to watch the game?!! Amazing!